NEW YORK: NBCUniversal has promoted Hilary Smith to SVP of communications for the company, as well as its entertainment, digital network, and integrated media groups. Smith assumed communications leadership over Telemundo, mun2, Bravo Media, Oxygen Media, Style Media, and Sprout in addition to her oversight of DailyCandy, Fandango, iVillage, Television Without Pity, and the integrated media group on Monday. She is reporting to Lauren Zalaznick, chairman of entertainment, digital networks, and integrated media at NBCUniversal. “There is an opportunity to look at things from a holistic perspective and think of ways we can be louder as a portfolio,” Smith said. The company has not yet selected a replacement for Smith's previous role. Smith replaced Cameron Blanchard, who was promoted to SVP of corporate communications on October 22. Blanchard leads corporate communications and media strategy and serves as the chief spokesperson across NBCUniversal's divisions and networks, including USA, E!, Bravo, Oxygen, Style Media, Telemundo, and digital businesses Fandango, DailyCandy, and iVillage. 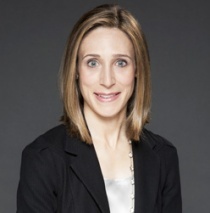 Before her promotion, Smith led communications for digital businesses Fandango, DailyCandy, iVillage, and Television Without Pity and the company's integrated media division, which includes ad sales and marketing initiatives such as Women at NBCU, Green is Universal, Healthy at NBCU, and Hispanics at NBCU. She was also responsible for consumer and trade marketing for integrated media. Smith joined NBC in 1998 as senior manager of public relations for Dateline NBC, where she was chief spokesperson for the show and publicist for anchors Jane Pauley and Stone Phillips. She also served as VP of media relations in the corporate communications department. Prior to her tenure at NBC, Smith was a press manager at CBS News and manager of public relations for Citibank Securities' investment banking division. Last month, Kathy Kelly-Brown left her role as SVP of corporate communications to oversee communications for the NBCUniversal News Group, a division created in July that brought NBC News, CNBC, MSNBC, and the Weather Channel under one umbrella. Blanchard replaced her in the position. Former NBCUniversal communications leader Allison Gollust has joined New York Gov. Andrew Cuomo's staff as director of communications.